I just finished eating these and they are SO good! 1. Stir ricotta, broccoli, 1/2 the mozzarella, Parmesan and pepper in a bowl. Spoon 2 Tbsp. of mixture into each shell. 2. 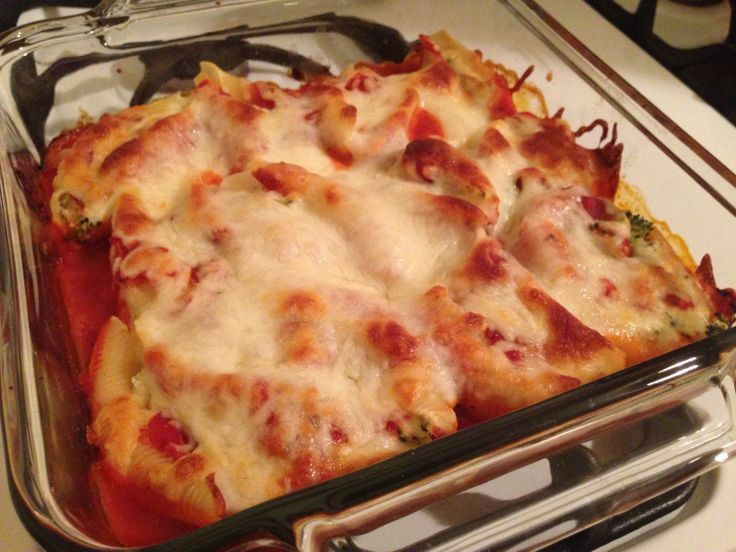 Spread 1 cup of sauce in a 13″x 9″x 2″ shallow baking dish. Place filled shells in sauce. Pour remaining sauce over shells. Sprinkle remaining mozzarella over top. 3. Bake @ 400 degrees Fahrenheit for 25 minutes.